Impeccable mid-rise condo in the NoDa neighborhood! 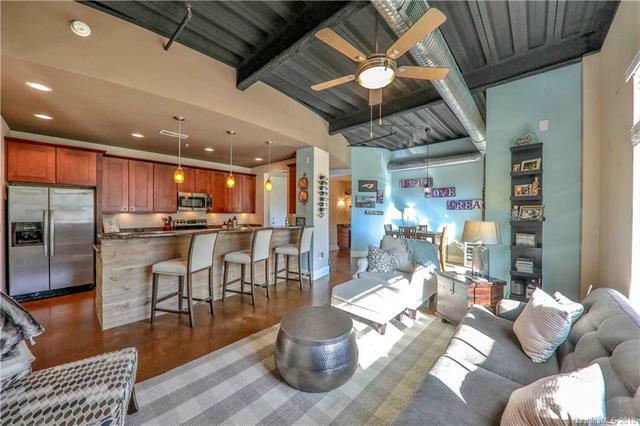 Contained within this open and lustrous NoDa condo are stainless steel appliances, a massive granite breakfast bar, stained concrete floors and updated lighting. Best of all, the condo is across the parking lot from Amelie's, Free Range Brewery, Rhino Market (under construction) and much more! Half a mile to 25th Street light rail station, 1 mile to downtown NoDa and a 10 minute drive to Uptown. Washer, dryer and refrigerator are included.